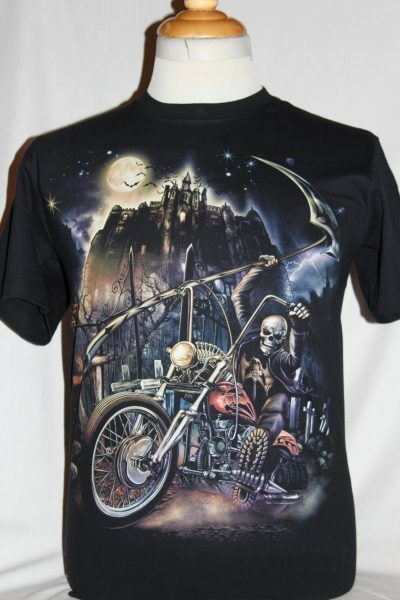 The Castle Rider T-Shirt is a two sided print in black. 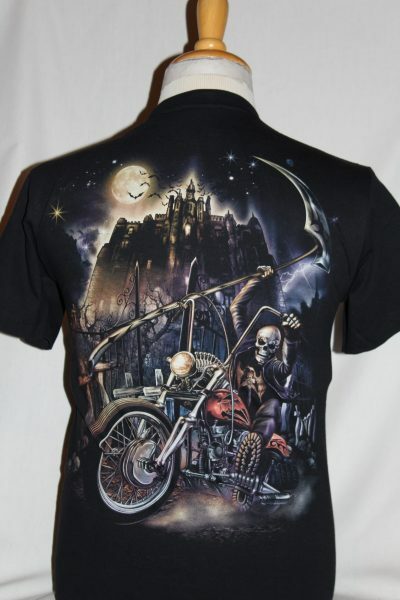 Front Design: Custom Harley ridden by the death rider superimposed over a castle night scene. Back Design: Same as the front. This shirt features the glow in the dark images.